The Lao tourism industry is not only playing a significant role in boosting economic growth, but is also creating a huge number of job opportunities for local people, experts have noted. Local tour companies are continuing efforts to promote Laos as an adventure tourism destination with a recent exhibition held at the Vientiane Center shopping mall. “Don’t think an elephant cannot lie. You will notice elephants’ lies if you spend time observing Chao Kid’s behaviour,” Prasop Tipprasert, a wild animal expert and a key staff member at the MandaLao, said as he led a group of Thai reporters on a trip through the elephant sanctuary earlier this month. Electronic visa (E-visa) services are set to be offered at the end of this year or early next year in a move to attract more foreign tourists to take vacations in Laos. We wish you a Happy Pi Mai celebration and a prosperous and wonderful 2017 ! Hundreds of officials, foreign guests, musicians, performers and Vientiane residents gathered last night in Vientiane celebrating the international recognition of Khaen music of the Lao people as humanity’s heritage. THAI currency is getting a facelift, with new banknotes to feature the face of King Maha Vajiralongkorn, also known as Rama X.
Laos has seen an improvement in its travel and tourism competitiveness, but still has a long way to go to catch up with neighbouring Thailand and Vietnam, according to a report from the World Economic Forum. If you would like to enjoy wandering through an intriguing sculptural representation of ‘hell’, ‘earth’ and ‘heaven’, look no further than the ‘City of Spirits’ or Xiengkhuan Buddha Park on the outskirts of Vientiane. The Immigration Bureau and the Interior Ministry were instructed to speed up the implementation of a single-platform online database of foreigners entering and leaving the kingdom. The single platform database would help prevent crimes by foreigners, such as call-centre scams and those related to underworld activities. There will be bumps along the way between your visits to the beach, bar and immigration office (sometimes the bumps will be at the beach, bar and immigration office). Expat life is what you make it here in the Land of Smiles. Moaning about it never helps but accepting the bumps is part of the adventure. Here are our Top Ten Hard Truths for expats in Thailand. Running water, its soothing white noise comforts and welcomes. This is the sound that greets customers as they enter the sanctum sanctorum which is the uniqueness of Mango Mania. You’ve probably tasted Laotian flavors and not even realized it. Anthony Bourdain and chef James Syhabout want to change that. Syhabout is the force behind two Michelin-starred restaurants, Commis and sister eatery Hawker Fare, which focuses on the Laotian cuisine of his childhood. Bourdain is the host of the popular travel and food show “Parts Unknown.” He calls Hawker Fare one of the most important restaurants he’s ever visited. The Ministry of Information, Culture and Tourism (MOICT) has recently signed an agreement with BigBlue Agency Laos awarding them the preferred rights to setup all billboards related to the Visit Laos Year 2018 Campaign. Vientiane authorities have agreed to the creation of a green lung for city residents and visitors in the form of a public park along the Mekong River in Sisattanak district. The 31,500 square metre site is located behind the Don Chan Palace hotel and adjoins Chao Anouvong park. Lao authorities have warned foreign tour operators to utilise local tour guides otherwise they will be fined. The authorities also warned foreign tour operators to partner with local counterparts in arranging package tour programmes in Laos; if not they will face measures. Tour operators have called for the government to remove a number of barriers they are facing in order to boost the industry and increase tourist arrivals. 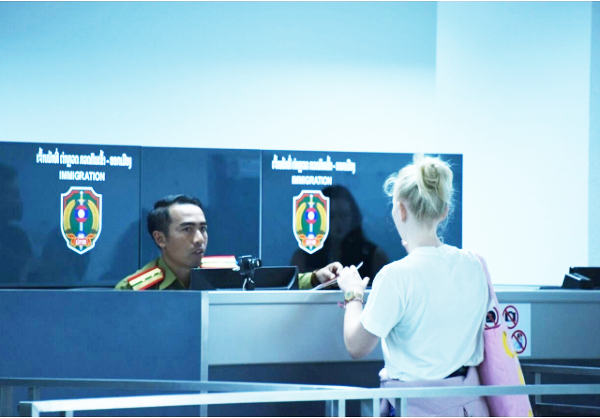 Citizens of Denmark, Finland, Norway and Sweden will not need a tourist visa if they visit Laos next year after the government waived the requirement in a bid to boost tourist arrivals from the four Scandinavian countries. International visitors coming into Bangkok for the New Year long weekend should brace themselves for long waits for visas on arrival at Suvarnabhumi Airport. The most popular destinations among visitors this winter are Luang Prabang, Luang Namtha, Vientiane, and Champassak provinces, according to tour operators. Thailand, land of golden temples, white-sand beaches, smiling hosts. Or of overcrowded airports, epic traffic jams and littered seashores. The number of foreign tourists visiting Laos in the first nine months of this year dropped by 9.1 percent to just over 2.88 million people compared to the same period last year. The Ministry of Post and Telecommunications has warned drone owners to seek permission from the relevant authorities before flying their drones – if not, the owners will face penalties. The Luang Prabang Film Festival (LPFF) concluded its eighth annual event this week in the UNESCO World Heritage town of Luang Prabang, Laos, with the Audience Choice Award going to the Malaysian film, Redha. Visa exemptions for citizens of Laos and Russia who hold ordinary passports will come into effect on Lao National Day in a move expected to boost people-to-people visits. The Luang Prabang Film Festival (LPFF) has selected 10 projects from across Southeast Asia to participate in its 2017 Talent Lab, to be led by Tribeca Film Institute® (TFI). The Lab, which will focus on grant writing and project pitching, will be held during the opening weekend of the eighth annual festival, which will take place 8-13 December 2017. The number of tourists from within the region and further afield who enter Laos by road has increased significantly over the past five years, a survey has revealed. The government has approved a change in the status of Luang Prabang from town to city, aimed at fast tracking socio-economic development in the province while enhancing relations with other cities in the region. The baci or Sou khuan is a well-known traditional ritual and has a deep meaning for Lao people. The baci ceremony is reminiscent of Brahmanism and animism. It follows the belief that the human being’s main body parts are inhabited by 32, or even more, spirits. In some circumstances, these spirits may leave the body to wander around and get lost in the universe, thus causing you to become weak and vulnerable to danger. It’s therefore important to call the missing spirits back, so you can be yourself again. This ceremony is performed on important occasions such as births….. The That Luang Festival is extra special this year as it anticipates Visit Laos Year 2018, aiming to spotlight Lao culture, tourist attractions and the local lifestyle to the eyes of the world. Jeju Air Co., South Korea’s leading budget carrier will open the route to the capital of Laos this Sunday as part of its diversification strategy to offset falling demand on Chinese routes. Visitors to Thailand be aware: Thailand is banning illegal drones; failure to register Drones within 90 days from Friday could result in a jail term of not more than five years and/or a fine of not more than Bt100,000 or both. In southern Laos, there are numerous cycling tours on offer for all levels all year round but winter makes the best time as the weather is dry and the temperature is cooler. It’s an activity we really recommend as it’s an unparalleled way to immerse yourself in the local lifestyle. Thailand is building up to what will be a historic period with final preparations under way for the funeral of the late King. The Royal Cremation Ceremony will be held in Bangkok from October 25-29. It will be a sad time for Thai people, but the country will remain as welcoming as ever for tourists and you will still be able to enjoy your trip. Although there is no need to change travel plans, please be respectful and if you are visiting Bangkok or other areas of Thailand in October, there are some important points to be aware of. The fastest growing ivory market in the world is now Laos, according to an investigation by Kenya-based group Save the Elephants. “Most-hated German In Thailand” On His Way To Laos ? A man once dubbed the “most hated German in Thailand” was denied boarding a Thai Airways flight on Tuesday after being blacklisted by Thai immigration. The Luang Prabang Film Festival (LPFF) has announced that it is looking for applicants for its 2017 Talent Lab for Southeast Asian filmmakers, to be led by Tribeca Film Institute® (TFI). The Lab, which will focus on grant writing and project pitching, will be held during the opening weekend of the eighth annual festival, which will take place 8-13 December 2017. Air transport officials of Asean member state countries will work to build up the Asean Single Aviation Market, which is seen as one of the key milestones in developing the Asean Economic Community. Laos has two very distinct seasons: the wet (May – October) and the dry (November – April) — each of which has its own advantages and disadvantages. Here we present our top 5 reasons for coming to Laos during the Green Season! A five-year-old girl with big dreams has grown up to be the first Lao female flight attendant at Qatar Airways, one of the world’s leading airlines. Foreign-owned tour agents, hotels and restaurants are unlikely to have serious negative impacts on local business operators in Vangvieng because they offer a variety of choices for foreign tourists from different regions, a district tourism official has said. Hadxayfong Authorities have authorised Lao International Travel and Investment Co., Ltd. to renovate Wat Xieng Khuan, also known as Buddha Park to make it more attractive to domestic and foreigner visitors. Upgrading the water channel along That Luang marsh to Huaymark Hiew water gate is aimed at preventing possible flooding in the city and developing a new tourist site in Vientiane in the near future. Thai Prime Minister Chan-o-cha has ordered relevant agencies to ensure that long immigration queues at Don Mueang International Airport will be resolved quickly. THAI Smile began flying to Vientiane from Bangkok on Saturday as part of a joint operation with its parent Thai Airways International (THAI). Laos is preparing to launch its “Visit Laos Year 2018” to promote the tourism industry and revive interest in the country at a time when visits are declining. Suvarnabhumi airport in Bangkok has been named among the top 10 worst airports in the world, according to a new study which measured punctuality, quality and service. The number of overseas tourist arrivals in Laos is decreased by 12 percent in the first three months of 2017, downing from 1.24 million people in the same period last year to 1.11 million people in March this year. Thailand and Laos will work together on a tourism campaign dubbed “Two Countries, One Destination” aimed at boosting arrivals on both sides of the border. The Luang Prabang Film Festival (LPFF) has announced that its eighth annual event will take place on 8-13 December 2017. The festival, which celebrates Southeast Asian cinema every December in the UNESCO World Heritage Site of Luang Prabang, Laos, will feature a range of feature film screenings, short film programs, panel discussions, and events. Currently, almost 1,200 ecotourism sites, over 600 cultural sites and almost 300 historical sites and two world heritage towns are earmarked as destinations for tourists visiting the country. The newly-opened Pha Tad Ke Botanical Garden is a perfect half-day adventure out of town and it’s just a short, leisurely ride from Luang Prabang. After buying a ticket at their office in town, hop on one of their complimentary boats from the …. Thai Airways International (THAI) and Bangkok Airways (BA) have entered a codeshare agreement which will remain effective until late October. The two Thai-registered airlines signed the agreement on Monday. It covers 15 routes. Bangkok Airways will operate 10 domestic routes. They are …. The Government issued five public bans for Lao New Year celebration last week, in an effort to maintain social order and promote and preserve Lao traditions and culture. Firstly, state offices and the general public nationwide have been asked to organise a farewell party to BE 2560 in accordance with the longstanding traditional culture of Laos and the government’s policies throughout the five-day celebration from 13 to 17 April. People nationwide are eagerly anticipating the Lao New Year (Pi Mai Lao) festival (Year of the Rooster) next week, with the official holiday taking place from April 14-16. Vientiane is preparing an exciting programme of activities for locals and visitors alike, including a Miss Vientiane contest on April 8, an arts show, a sandcastle building contest, and sports competitions on the sandy shores of the Mekong. In the latest flare up in tensions between the two countries, Lao authorities temporarily shut a border crossing with Cambodia and dispatched more troops to an undemarcated area on the northern border after Cambodian authorities began renovating an old French border outpost. According to local officials, Laos shut the Voen Kham border crossing in Stung Treng province’s O’Svay commune on Sunday and …. In a move to reign in Pi Mai the Lao authorities have finally acted with a swathe of new measures to stop water throwing activities at this year’s upcoming festival. All “overt” water throwing could now warrant charges for assault with serious dousing cases leading to jail time, heavy fines or ….. Almost 40 Thai villagers and “creative tourism” advocates recently participated in several community tourism activities in Luang Prabang, Laos, looking to apply good ideas to their villages in six designated special zones. They have learned precious lessons from these destinations — Whisky Village, Sa Paper Village, Living Land Community Farm, Ock Pop Tok Living Crafts Centre, two museums, two mountains, a temple and …. A traveller has died ziplining at the Gibbon Experience forest camp in Laos. The person, thought to be American, was at the remote attraction popular with backpackers travelling on a budget through South-East Asia. It boasts some of the world’s highest and longest ziplines, with the largest reaching 1,870ft across a forested valley in the north-west of the country, close to the border with Thailand. The ziplines connect what the operating company claims are some …. The US hotel giant has penned a deal with TPD Company to manage the 160-room DoubleTree by Hilton Vientiane, which is scheduled to open in the Lao capital in early 2020. Located in the centre of the city, on the intersection of Rue Setthathilath and Rue Manthatourath, about 5km from the Vientiane’s Wattay International Airport, the upscale hotel will be close to the …. Cambodia and Laos on Monday signed a deal to encourage regional airlines to increase their services between both countries in a bid to encourage tourism. The government has announced a five-day holiday for Lao New Year (Pi Mai Lao) including two days in compensation for the weekend, enabling people to celebrate the event for longer. Siphandon is well known as an impressive visitor destination because of the stunning scenery around the Mekong River, the intriguing local lifestyle and the massive waterfall that never ceases to amaze. If you visit Siphandon (4,000 Islands), the one thing you shouldn’t forego is a boat ride to the Khonphapheng Falls as the trip will give you a true taste of how the locals pass their …. The number of foreign tourists visiting Laos dropped for the first time in 2016 after several successive years of visitor growth, newly compiled statistics suggest. Laos registered average annual growth in foreign tourist arrivals of 10.7 percent on average over the past five years. But last year, just over 4.23 million foreign visitors came to the country – a drop of 10 percent compared to …. Lao outbound travellers made more than 3.05 million trips in 2016 and more people are suggested to have made longer-distance trips in foreign countries, the latest statistics showed. Though 2016’s figure slightly decreased from more than 3.06 million trips and the 3.3 million trips recorded in 2015 and 2014 respectively, the number of Lao nationals travelling by planes increased to the …. Queen Mathilde proved it is possible to be stylish and practical as she visited a temple in Laos today. The Belgian royal opted for a sensible pair of putty-coloured trainers as she climbed the steep steps from the ancient Vat Phou temple, near the southern city of Pakse. She livened-up the shoes with a knee-length multi-coloured patterned dress, which showed off her trim …. The high cost of living remains a significant challenge for the tourism industry in Laos as spending for basic services such as taxis, food, and accommodation is higher than in neighboring countries. Slow service is among the downsides of the tourism sector in Laos. “The tourism sector in Laos should develop …. Eleven provinces across four countries in the upper Mekong basin have agreed to join in a development cooperation agreement that will seek sustainable tourism integration across the sub-region and its borders. Under the MoU, the provinces have agreed to cooperate on tourism advertising, cross border facilities and tourism infrastructure …. In an episode set in Laos, he ate freshwater fish and bamboo shoots with a man who had lost an arm and a leg when a U.S. explosive, left over from the war, detonated. Last year’s projected visitor numbers may not reach their target as arrivals for January to September actually decreased compared to the same period in 2015, initial figures indicate. Overall, foreign visitor arrivals have dramatically increased in recent years. The number was just over 2.7 million in 2011, about 3.3 million in 2012, around ….. The 12th Lao Food Festival officially opened yesterday at Chao Anouvong Park in Chanthabouly district, with the food extravaganza set to open from 8:00am to 10:00pm over three days from January 25- 27. The Lao Food Festival has been held every year since 2006, and that this year is the 12th such food festival. One of the aims of the festival is to remind people to preserve and promote…. When I first mentioned that I was traveling to Luang Prabang, I had received a few recommendations from my friends in Vientiane to visit Ock Pop Tok, a very popular textile shop in Luang Prabang. With great reviews listed on Tripadvisor, I made a mental note to stop by their store as I strolled around this tiny town, visiting a few wats along the way. And although their shop was beautifully set up, little did I know that just a short bicycle ride out …. Thousands of people gathered yesterday for the grand wax castle procession, one of the main features of the annual That Luang festival and among the country’s cultural highlights. The festival has become more widely known over the years and more and more foreigners make a point of coming to Vientiane for this very special and uniquely Lao event. This year’s festival holds greater significance than usual as it marks the 450th anniversary of the ….. The Green Season in Laos offers many enticing benefits for visitors looking to explore this vast and vibrant country. We present our top 10 reasons for coming to Laos during the Green Season! 1. It does not rain as much as people think! In the northern regions of Laos, it rains only every couple of days during the green season. The majority of Laos will …. Paris, France came first followed by …. Coffee has been a staple of Laos ever since it was introduced by French colonialists in the early twentieth century. Coffee is currently the largest agricultural export commodity, and the Bolaven Plateau is one of the most fertile regions to grow coffee. In Lao, coffee is pronounced “khaafeh” (similar to how you would say café). If you want real Lao coffee, you must order “khaafeh Lao”. At first I was considering using a rating system in order to categorize different coffee spots in Laos, but I felt that it did not give enough justice to some of the more local places I visited. This list is thus …. 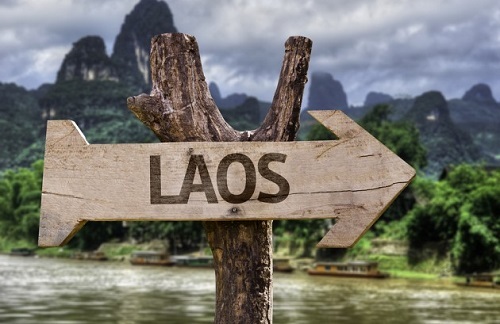 Laos often gets short shrift compared to its heavily traveled neighbors. Thailand, the undisputed tourism champ in the region, sees almost 10 times more foreign visitors than Laos. Even sleepy Myanmar, closed off for decades, will see visitor numbers surge past those of Laos if trends continue. As the perennially ignored Southeast Asian destination, Laos is in pole position to surprise most any traveler to the region with its many attractions, from isolated beaches to wildlife-filled forests. Here are 5 of the top things you’ll find on a visit to one of Southeast Asia’s last frontiers…. Visiting Asia with children is getting more and more popular and for good reasons, as the Asian, and of course also the Lao mentality, is very child friendly. If traveling with children in Asia, you will experience numerous times that local staff will help out watching your kids or giving them attention while you try to get some food or have troubles getting around. Indeed the Asian and Lao culture seems to be very child-friendly when it comes to traveling. We want to clearly encourage families to travel in Laos, since we have …. One of the most successful local entrepreneur in Lao tourism, Inthy is a rather outspoken personality in the country and speaks openly about opportunities and failures of Laos in its tourism development. Inthy answer questions on the progres of the Lao tourism, how to promote the country and which are the upcoming places to visit in Laos….. It is 6.30am and a bright orange sun is rising behind the mountains. The twin hulls of our boat cut through water that shimmers like glass. Fish jump and buffalo swim. Villagers brush their teeth at the waters edge. It’s another world, from another era, and I feel like Katherine Hepburn, except that my vessel is a raft strapped on top of two wooden canoes, on top of which, perching like thrones, sit two rattan chairs. It is a rather comical, Heath Robinson contraption, but that can’t detract from the beauty of the scenery and the empty, peaceful atmosphere. It would be nice to spend the day just sitting and floating, but my destination materialises into view. Don Daeng is one of the many islands in the middle of the Mekong River, here in southern Laos where the river starts to …. Other than human acquaintance, there’s hardly a more suitable or reliable traveling companion in a strange country than a book, especially a good guide about the country you’re visiting, written from the experience of previous travellers. But every once in a while, there comes along a book, not in the form of a guidebook or travel memoir, but rather a well-researched historical novel. The Plain of Jars, a newly released novel about the secret war in Laos and the years that followed it, may just qualify as such a book. The first half of the book deals with mutual cross-cultural understandings and misunderstandings, as a sixty-four year old woman travels …. When you have a good motorcycle in Laos, it’s like having an all-access pass to the best theme park on the planet. The roads become a roller coaster through stunning scenery and all of a sudden you are smiling from ear to ear and your brain is overloaded with every shade of green and brown and blue, as the dirt roads, the ….. The Tree Top Explorer in the south of Laos simply blows one’s head off! Deep inside a national park and away from bustling city life, this parcours offers excellent trekking that culminates in flying through the jungle on zip-lines, the most extensive and longest in the region. Canopy walkways and a ‘via ferrata’ add to the challenges to be mastered. If that’s not enough, the night is spent in romantic tree houses which let you easily forget the bravery of the day by the tranquillizing sound of waterfalls surrounding the visitor. The Tree Top Explorer is an adventure everyone will enjoy without doubt. Fun is guaranteed – as are memories of an unparalleled experience of a lifetime and, for the one or the other, some inspiration for the future!. Whether you are planning to be in the capitol for a year or a day there’s a great new way to become acquainted with city life and see the sights. So, leave the guidebook behind and saddle up for an insider’s view of Vientiane. Aline, a former art critic, travel agent, and flight attendant shares her personal insights, history, and fun facts about all aspects of life in Laos while cycling the city on one of 20 high-end mountain bikes available to riders.Visits to various temples, markets, and monuments can be found by anyone with a map and a bike, but what makes this experience unique are the people and flavors that only someone in the know can show. If you’re looking for an interesting and educational experience not far from Vientiane, the little known Nong Khai Aquarium might be right up your alley. Just over the border on the road leading to Udon Thani is the biggest aquarium in Northeastearn Thailand at Khon Kaen University’s Campus in Nong Khai. The idea is to conserve freshwater fish in the Mekong River as well as to stimulate tourism in the province.